The publisher assumes no respon- rious about building and maintaining an environ- sibility for any misprints or claims or actions taken by advertisers. The mentally friendly ? eet, including the world’s ? 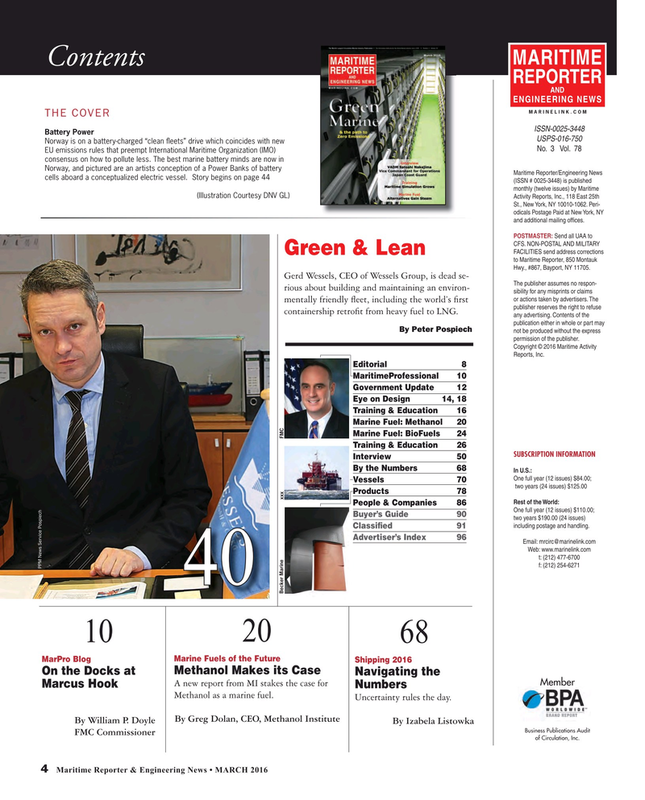 rst publisher reserves the right to refuse containership retro? t from heavy fuel to LNG. By Peter Pospiech not be produced without the express permission of the publisher. Buyer’s Guide 90 two years $190.00 (24 issues) including postage and handling. Methanol as a marine fuel. Uncertainty rules the day. FMC Commissioner of Circulation, Inc.